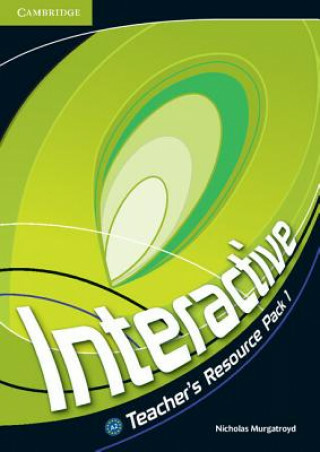 Interactive is an exciting four-level course for teenage learners from elementary to upper-intermediate levels (CEF A2-B2). The Teacher's Resource Pack contains two communication-based 'Interaction' activities, as well as a page each of Grammar and Vocabulary practice per unit. The activity pages are all photocopiable for students. Photocopiable Picture Dictionary pages provide students with practice in the vocabulary learned as they first label the pictures, and then keep them as a handy visual reference.